I used to ride a Trek until I was hit by a car in 2011 and my Trek was totaled. I finally got back on a bike for the first time on Monday (2/27/17). 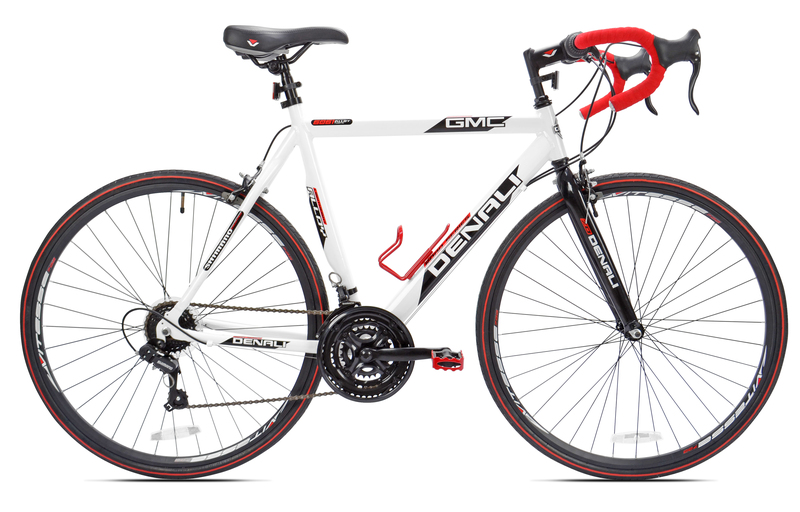 The Kent GMC Denali is a great road bike for people starting out especially if you don't have a lot of money to blow on a hobby! I know bikes and I know it is nowhere close to a Trek or any other big names, but for the price this bike is amazing. I just wanted to get back out and ride and I didn't want to blow a bunch of money on a bike since my son will be here soon. For $180 (after tax) you can't beat this bike. The only thing I recommend is ordering this bike online and putting it together yourself or take it to a bike shop to have it assembled for $10-$20. I bought mine out of the store and most of the parts were dangerously loose and there was no grease applied at all, but once I fixed these problems with a little grease and a hex wrench the bike was riding safely and smoothly! It really is a great bike for anyone who wants to ride for exercise, fun, transportation, or looking to get into the sport seriously. You can do inexpensive upgrades too until you can upgrade to a better bike. P.S. Always wear a helmet. If I wouldn't have been wearing one the day I got hit by that careless driver I probably wouldn't have walked away with just a concussion.